Facebook’s new news feed algorithm will start surfacing more ‘high quality content’. This means you might start seeing more links to articles especially on mobile (e.g. current events, sports, interests, meme photos). In the future, Facebook hopes to be able to distinguish better between a meme photo and an article, meaning articles will be featured more prominently than meme photos hosted outside FB. Of course we always aim to create ‘high quality’ content, but now, the roles of curating and sharing ‘high-quality’ content are getting more prominence in the whole process for audience engagement on Facebook. I wonder if this means that Edge Rank will now give Link Posts (posts that share a link to an article) equal footing with photos and videos. How will this affect your current content strategy? While small business cannot compete with big media publishers in terms of producing and distributing articles (and content in general), it would be worth reviewing your content mix and content marketing strategy to see how creating smarter articles, and perhaps even long-form content, can build significantly your expertise and authority. Not just because Facebook introduced this change, but in general, it is a good response to the push towards raising the ‘quality threshold of content’. Google, for example, values highly originality and quality, not just regurgitating content. Creating high quality content, whether in the form of an article, or image, or video always starts from what your customers need. 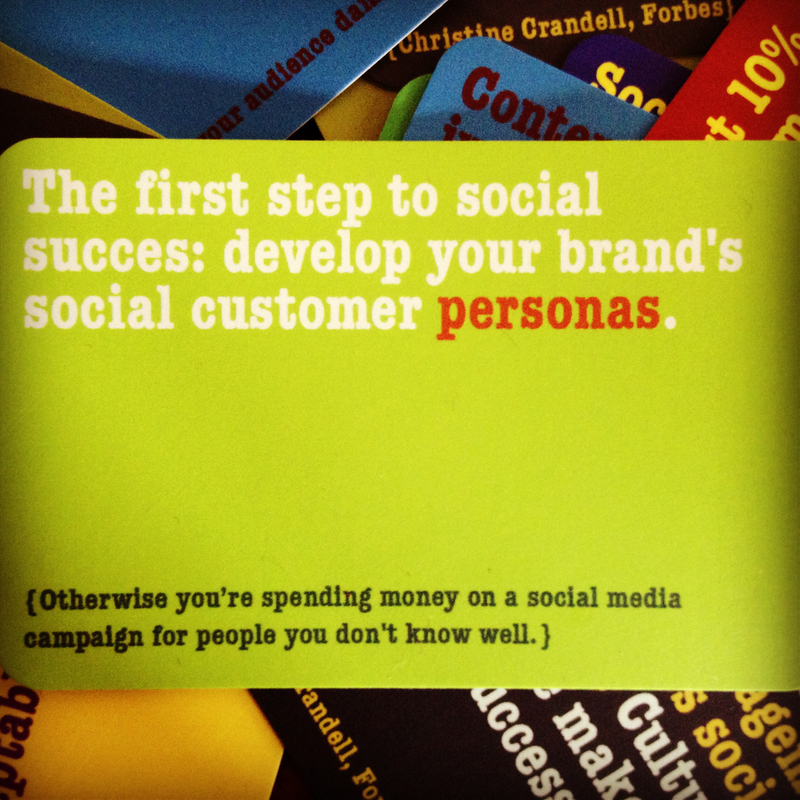 Do you have social customer personas? Are you developing your content marketing plan based on providing information that can help solve a problem of your users?